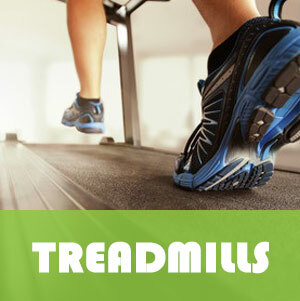 Treadmills are a great way to train for outdoor running or just to stay in shape (without going out in the rain!) Clic﻿k here for our top picks for the best treadmills in the UK. 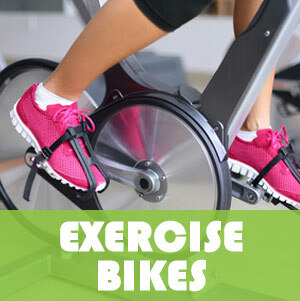 If you're looking for a low impact home workout, exercise bikes are a great option. Visit our best exercise page for our top picks. You can also view our spin, turbo trainers or recumbent bike pages. 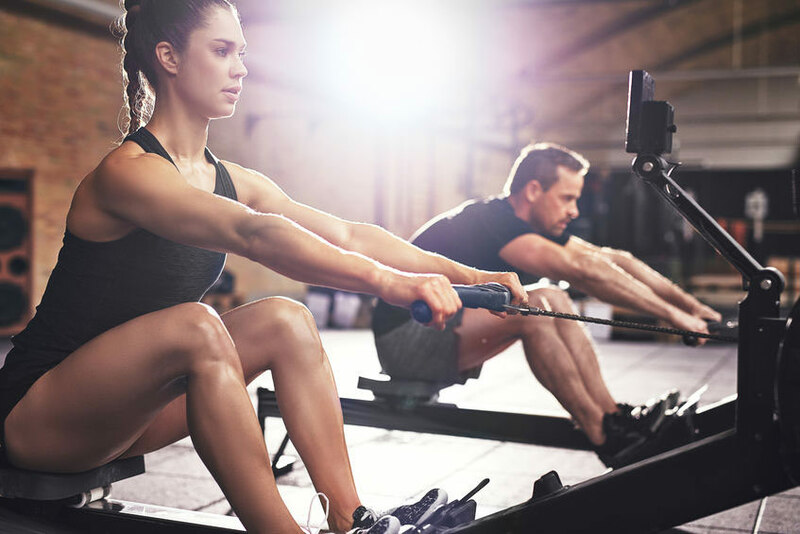 Rowing machines provide a full-body workout that burns plenty of calories. 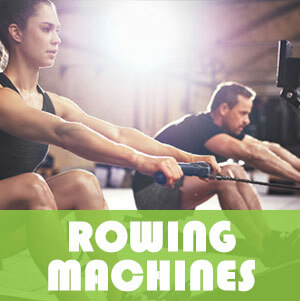 If you're thinking of buying a rower, make sure you read our best rowing machine page first. With the cost of gym memberships rising and our increasingly busy schedules, more people are turning to home gym equipment for their fitness needs. Home exercise machines have a number of advantages, including added convenience and lower long-term cost, so this is a wise decision. The problem ​is the UK home gym equipment market can be confusing - even for experienced athletes! With a range of different types of equipment, price ranges, brands and gimmicks, it's hard to know which to choose. And to make matters worse, the exercise market changes rapidly, with new claims and marketing buzzwords popping up almost monthly. ​TheHomeGym.co.uk was founded in 2017 to provide advice on fitness equipment to people in the UK. Whether you want to buy a new treadmill, exercise bike or just want tips on improving your workout, we've got you covered. ​To read more about our mission, click here. Why Buy Home Exercise Equipment? If you're sick of going to the gym, don't have a decent one nearby or just want a more convenient way to get in shape, investing in a home gym can be a great choice. Whether your gym consists or a single piece of cardio equipment or an entire free weight section, there are a number of advantages. No Monthly Fees. With gym memberships costing anything from £20 to £100+ per month, it's easy to see that home gym equipment can quickly become more cost-effective. Sure, gyms have a wider range of equipment, but how much of it do you actually use? Most people tend to stick to a few pieces equipment, which usually makes it cheaper to buy it to use at home. The downside is that you need to spend more money upfront, although some online retailers offer payment plans. Workout at Any Time. One of the biggest advantages to buying home workout equipment is that you can use it at any time. Whether you want to get up early for a pre-work workout or need to exercise on a Sunday evening, you don't have to worry about your gym opening times. This can also make it much easier to stick to a regular workout schedule. Avoid Waiting for Equipment. Unless your gym is particularly well-equipped, you'll sometimes need to wait for a turn on certain types of equipment. This is worse at peak times, when gyms can become hot, stuffy and overcrowded. When working out at home you won't be disturbed or ever need to wait. Workout Privately. Instead of worrying about what other people think of your workout, or feeling you need to make small-talk every time someone you know comes into the gym, a home gym provides complete privacy. You can also tailor your training environment however you wish. You choose the music, temperature and what's on the TV. Improved Focus. There's almost endless distractions at a commercial gym. Whether it's the people next to you talking about their weekend or the loud pop music, it's hard to stay focused with so much going on. You'll find you get much more out of your workout at home when you don't need to deal with distractions. Only Pay for Equipment You Use. The type of equipment you buy for your home gym entirely depends on your fitness goals. If you want a low-impact cardio exercise, you can just buy a cross trainer or exercise bike. For building muscle, free weights, benches and squat racks are surprisingly cheap. Whatever your goals, you can decide exactly what type of equipment you need to achieve them. Of course, home gym equipment isn't for everyone. If you enjoy the social side of going to the gym, or prefer to have a wide range of equipment options, it's hard to beat a commercial gym. Even so, we believe many people can benefit from owning the best home gym equipment. If you have any questions about gym equipment for home use, or would like a specific product reviewed, you can con﻿﻿tact us at any time. We try to respond to every message or comment we receive.